Travel to Death Valley National Park for an opportunity to improve your photographic skills and experience a landscape nothing short of sublime. 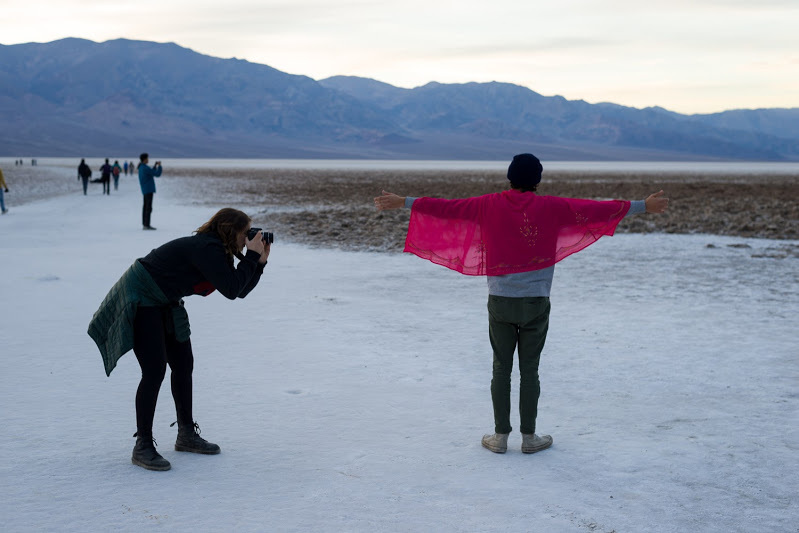 Death Valley’s diverse terrains provide unique photographic opportunities to learn and practice various photographic techniques. We will explore the basic camera functions of shutter speed, aperture, and depth of field, the importance of a tripod in landscape photography, how to simplify a scene, frame a subject, and place the horizon line, and how to create drama with the contrast between light and dark. Because Death Valley is most successfully photographed during times of light transition, you will photograph sunrises, moon rises, sunsets and even the star-packed night sky. A typical day will include a morning photo shoot, a mid-day hiking and photographic excursion, a photography lesson and critique of your work, and an evening shoot. The last two and a half days will be used to prepare a final project telling the story of Death Valley National Park. We will stay at the centrally located Furnace Creek Campground which allows us to travel to many different parts of the park. Please note: Students must provide a basic digital camera with manual functions for use during this course. If students do not currently have access to a digital camera, basic digital cameras are available through a variety of retailers for approximately $60-$90.